A new augmented reality gaming project, Star Wars: Jedi Challenges, was announced during the gaming panel at D23 Expo 2017. 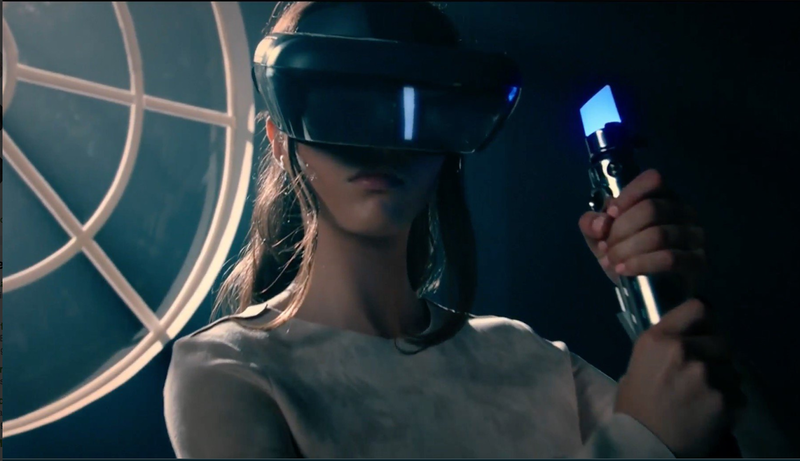 Disney, Lucasfilm and Lenovo have developed a new augmented reality headset, which will allow players to fight with lightsabers in augmented reality form. In addition to Jedi Challenges, other AR Star Wars games were teased including the ability to play holo chess.